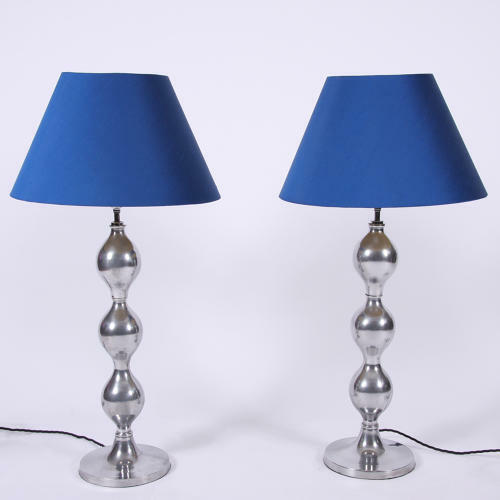 Pair of aluminium table lamps in a bobbin style. Pictured with hand made silk shade. Rewired and PAT tested. Height to top of light fitting.